HouseSpecial Tops Quarterly VFX & Animation Chart With "Armor del Amor"
A scene from tongue-in-cheek short film "Armor del Amor"
From animation studio HouseSpecial and director Kirk Kelley comes Armor del Amor, a scripted nature “documentary” short—a combination of CG and live action—that follows the mating rituals of the nine-banded armadillo to discover the dark underbelly of modern mammalian dating. The tongue-in-cheek narrative follows the armadillo (a CG character creation) as she emerges from her burrow and into the lonely Texas landscape. HouseSpecial researchers captured footage of this modern animal’s efforts to find a potential mate until finally, after several ill-fated opportunities, a match is made via a computer dating service. The idea to make a short about armadillos was sparked by Kelley’s stories of his youth in Texas. He grew up in the farmlands about 50 miles north of Dallas where road kill is a familiar part of the landscape. Adding the social commentary about modern dating highlighted the fact that even though we are humans in a world filled with technology, we are only a few genes away from being wild. HouseSpecial researchers captured footage of this modern animal’s efforts to find a potential mate until finally, after several ill-fated opportunities, a match is made. In tandem with HouseSpecial’s CG team, Kelley designed, modeled, animated and composited this photo-real armadillo using Nuke, Flame, PTGui, Maya with Arnold, Houdini, Mari, Substance Painter, ZBrush and Mudbox. “From brainstorming the best approaches to rig the armadillo, to using layered renders and special techniques for character embedment into the live footage, our CG experts glided through every challenge,” Kirk said. HouseSpecial’s president and executive producer, Lourri Hammack, tapped familiar collaborators to create this film. Cinematographer Eric Edwards (Knocked Up, Cobain: Montage of Heck, Crossroads, My Own Private Idaho) skillfully captured Oregon’s sweeping high-prairie (doubling for Texas), evoking a sense of the expansive, lonely feeling often associated with online dating. “The biggest challenge was finding a location in Oregon that looked enough like Texas to work for the film,” Kelley said. The crew ended up in Dufur, Oregon, near the Eastern Columbia River Gorge. 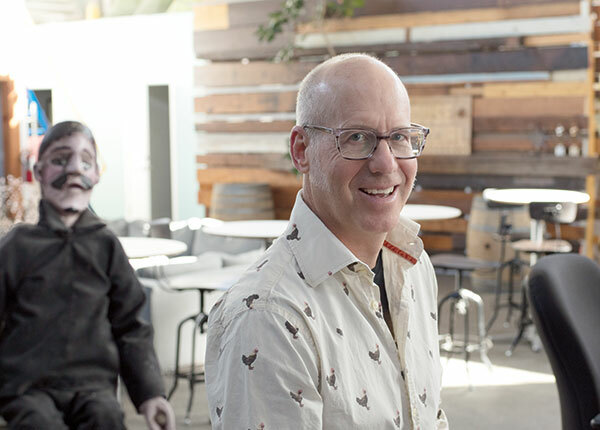 Though it was the studio’s first collaboration with British-born voice talent Edmund Stone, Kelley is a big fan of his weekly radio show and was looking for the right project to work with him. Cast as the narrator, Stone gave the short an authoritative, nature-doc voiceover. He can be heard on more than 1,000 e-books, in various commercial works, in a few movies and on The Score, his popular, syndicated radio show all about movie music. 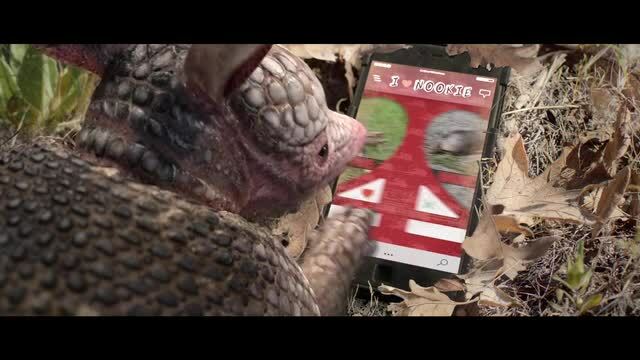 “This was a labor of (twisted) love from our entire crew, who all got a crash course in ‘why the armadillo crossed the road!’ And while our paramour wasn’t fully successful, our artists created a lovely piece of filmmaking,” said Hammack. The short was recently screened at the Northwest Animation Festival’s Animators Showcase program at The Hollywood Theatre in Portland. Portland International Airport travelers also caught the piece throughout July in the The Hollywood Theatre’s Micro-Cinema on C Concourse. See Top VFX/Animation Chart here.